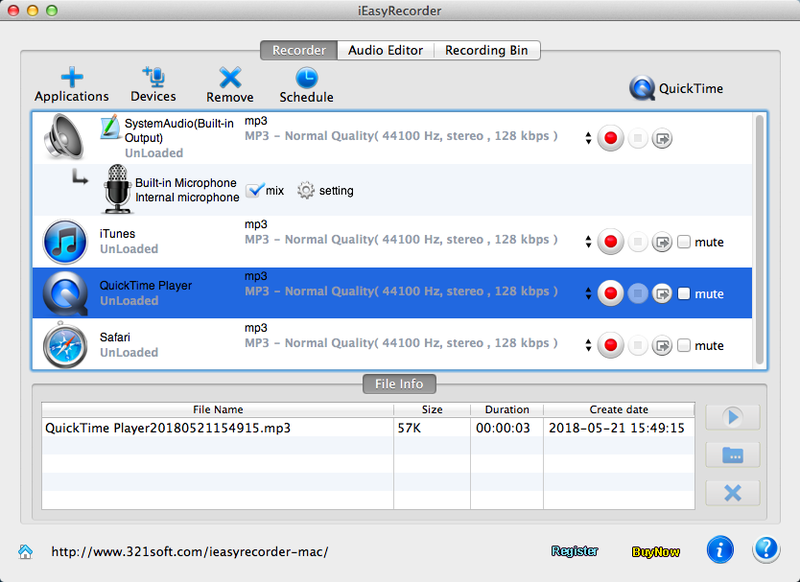 iEasyRecorder is unique sound recording software for Mac OS X.
iEasyRecorder is unique sound recording software for Mac OS X, which can not only record anything you can hear from your computer, but can record any sounds perfectly from any application such as Firefox, Google Chrome, Skype, QuickTime Player, RealPlayer, iTunes, VLC, DVD Player, etc. iEasyRecorder is able to record up to 4 tracks at the same time without any interference or unexpected sounds. save the recording directly into MP3, AAC files. Record whatever you want! You can choose to separate the sounds of your computer system and the sounds of your equipments or mix them. When you record from the sound cards, you may also mix human voice in through microphone. If you try to record an educational video or tutorial video, you may find this feature even more helpful. Record music from online radio sites, including Pandora, Lastfm, GrooveShark, and iTunes Radio. 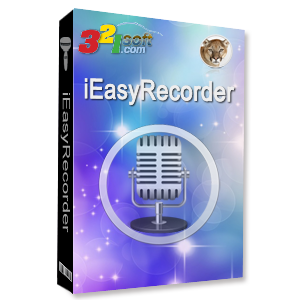 iEasyRecorder has been tested and has recorded seamlessly from over 600 radio stations and online music websites. Record multiple songs from online music site at a time. Record audio conversations from iChat, Skype, VoIP calls, and more. Record Audio Mixing: Record Skype, FaceTime or iChat calls and multi audio tracks. Output audio files can be save to popular audio formats, including: MP3, M4A, M4R, AAC, AC3, AU, WAV, FLAC, MATROSK, and OGG format. You may use it to record DRM protected music and audio book to unprotected MP3, AAC, M4A, formats. Record at a wide range of sampling rates: anywhere from 8,000 to 96,000 Hz. Except record system audio, at the same can mix audio of other devices(such as system microphone). The built-in recording scheduler allows you to set start and end times for recording on a Mac. Edit Audio File: Crop, trim, cut and split any audio file. 100% of the original audio quality is preserved.